South Africans exist in a restrictive television environment, where many turn to the likes of DStv or streaming services to get their entertainment fix, which is an expensive endeavour when coupled with an SABC TV license. 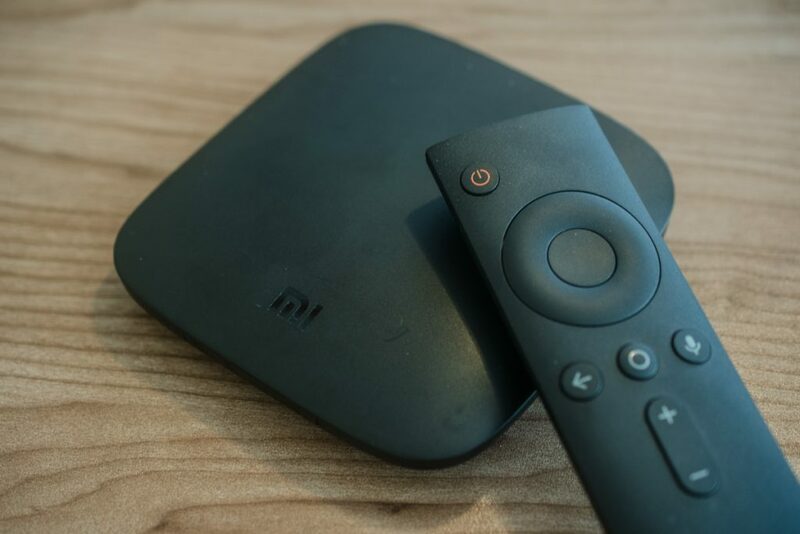 On the market, then, is Xiaomi’s Mi Box – an alternative set-top box looking to rival the likes of the Apple TV. Assaulting the market with both 4K and HDR capabilities – which Apple has only recently added to its TV set-top box – the Mi Box has reigned in China since early 2016, and is now more accessible through Gearbest, through which we’ve been lucky enough to obtain a review unit. Does the Mi Box, then, provide an equitable and affordable avenue for South Africans serious about enjoying their content on the silver screen? The Mi Box is a surreptitiously small set-top box, measuring in at just 101x101mm. Shaped somewhat like a wedge, the unit accommodates a neat I/O panel on its rear which offers not only a 9-volt power supply, but further a USB A port, audio jack, and HDMI out. Adorned on the front is an infrared sensor, which links up to Xiaomi’s Mi Box remote – itself offering a power, D-pad, return, home, and voice key. Found in the box is both a power adapter and a complimentary HDMI cable. The Mi Box occupies little space next to one’s television set, while its bundled remote can be used at distances up to 15 meters. The Mi Box uses Google’s Android TV suite, and setup is an easy process thanks to Google’s newly updated Home app. Like Chromecast units, the Mi Box can be customised to show an array of backdrops, and one can link their favourite services and games with the unit – pending their availability in South Africa – for easy enjoyment. It’s important to note that the Mi Box arrives with Android TV 6.0, which lags behind the latest 7.0 release of the software. Similarly to how the Android ecosystem operates on smartphones, updates require manufacturer approval – and it remains unknown as to whether the Mi Box will be eligible for an update, which would forseeably include access to Google Assistant. However, in good news, the Mi Box leverages some of Android’s smartphone sensibilities – while one can use the Voice button on the bundled remote to issue commands, this can sometimes be a tricky process to activate; at times the command is unresponsive or lags behind, leaving one huffing and puffing across the way in the lounge. When voice control does work, what is perhaps most impressive is its ability to capture diction even when placed across the room from oneself. The Mi Box runs both apps and games well, and is perhaps best reserved for those invested in Google’s Play ecosystem. Netflix and Google Play Movies as well as Music function with aplomb, though the unit can sometimes stutter and send running apps to the proverbial sin bin with an error dialogue. Gaming is perhaps a treat for those without the budget for a console nor gaming rig, and is an enticing step upwards from the confines of mobile gaming. Titles such as PAC-MAN 256 are a joy to play through, which the Mi Box serves up with great graphical fidelity. Speaking of graphical fidelity, it’s perhaps worthwhile to address the elephant in the room; many South Africans have yet to have the opportunity to embrace 4K television at accessible prices, with 1080p sets still remaining supreme in the market. The Mi Box is an excellent and affordable investment for those seeking a future-proof unit once the hefty price of 4K sets begins to recede; being one of the earliest avenues South Africans will be able to access and view 4K content, the Mi Box offers not only compelling access to YouTube but further to other services such as Netflix and apps such as VLC or MX Player. Where users might become frustrated is the fact that there are few South African apps and services available for Android TV – meaning that one often has to rather pivot to access international programming rather than a slice of local flavour. Much like Apple TV, Android TV remains (arguably) somewhat of a hobby project for Google – the company’s focus remains on its Android smartphone operating system, which does enjoy some level of synchronicity with the Mi Box through Google Cast. Google’s Cast technology ensures that those using Google services (such as Photos, Chrome, Play Music and Play Movies, to name a few) can furnish their content of choice to their television screen independently of their choice of smartphone operating system. This is a luxury the Apple TV doesn’t enjoy, which dictates that consumers instead leverage AirPlay to cast content from an iOS or macOS device. Where Xiaomi has exercised discretion in cultivating a great portfolio of accessible Android devices for the South African market, the Mi Box similarly offers a future-proof investment for those seeking to embrace 4K HDR content in the near future. Though the Apple TV is perhaps one of the most prolific set-top boxes outside the scope of DSTV, the Mi Box offers a cunning alternative with both a savvy price point and wider accessibility beyond the confines of Apple’s walled garden. Where haphazard app performance and interface issues can hamper the Mi Box, the unit redeems itself with both voice control smarts, an excellent remote, and close accessibility with Google’s online ecosystem and further support for international streaming giants. Should future updates arrive on the Mi Box timeously, the unit has a great chance of blowing its competition out of the water. What are your thoughts? Would you be willing to splurge on a Mi Box over other options in the South African market? Be sure to let us know your opinion in the comments below! Many thanks to Gearbest for providing us with a Mi Box to review. To purchase the unit or see other great hardware deals, click here. I seem to be getting an error on watching Netflix “we have a problem with this movie, please try again later” This is NOT the internet, or Netflix error. It is due to the MiBox not making the TV “Smart”. Can anybody help me?